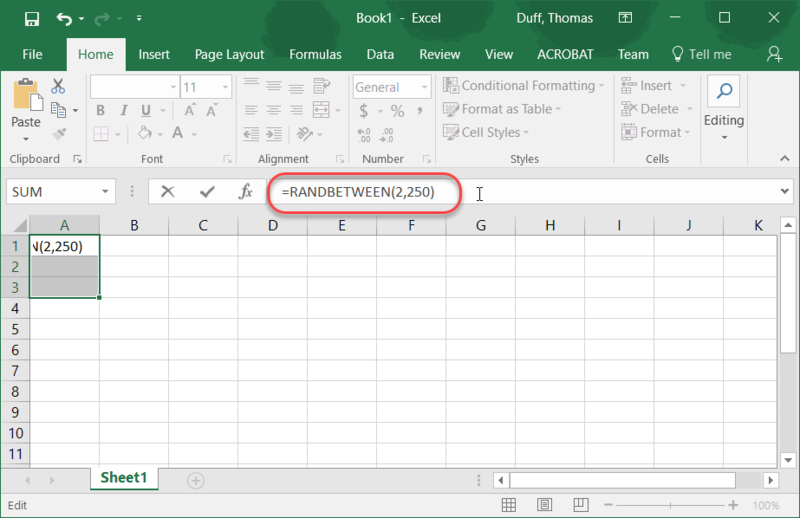 On Twitter this weekend, I found a cool link on how to generate random numbers in Excel. Considering I normally use a random number generator site to do this, I thought it was a pretty cool tip. I encourage you to go out and read the article, as there are a few caveats to keep in mind, such as this method can and will generate duplicate numbers. There is another method he covers that’s a bit more complex, but it eliminates most of the duplicate number risk.